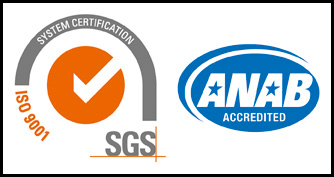 Ennis Safety, Security & Consulting Group is a provider of Safety Certified Audits, registered to the ISO 9001; 2015 , Accredited. Audits performed by Ennis Safety, Security & Consulting Group Auditors are Audited to the Standards of an Approved Quality Management System. Meeting defined Elements of an Occupational Health & Safety Management System. Organizations recognize the benefits of having an Occupational Health & Safety Management System that meets an Occupational Health & Safety Standard of Excellence. Achieve your Certificate as Safety Certified and include your Safety Management System as an asset within your organization. Contact Ennis Safety, Security & Consulting Group to have your Safety System Audited. Ennis Safety, Security & Consulting Group is a Safety Certified Organization Accredited in recognition to have successfully completed an approved Occupational Health & Safety Management System meeting the required Standard.